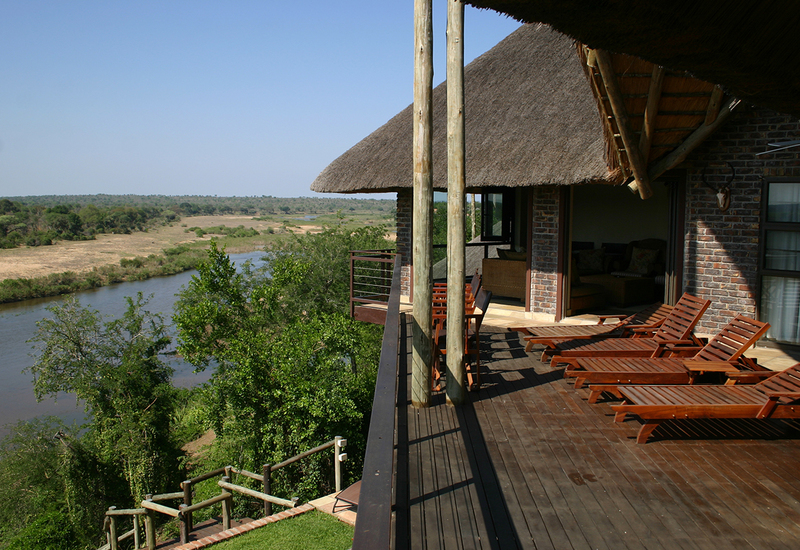 Welcome to Ngwenya River Lodges at Hippo Bend on the very edge of the Crocodile River and Kruger National Park. 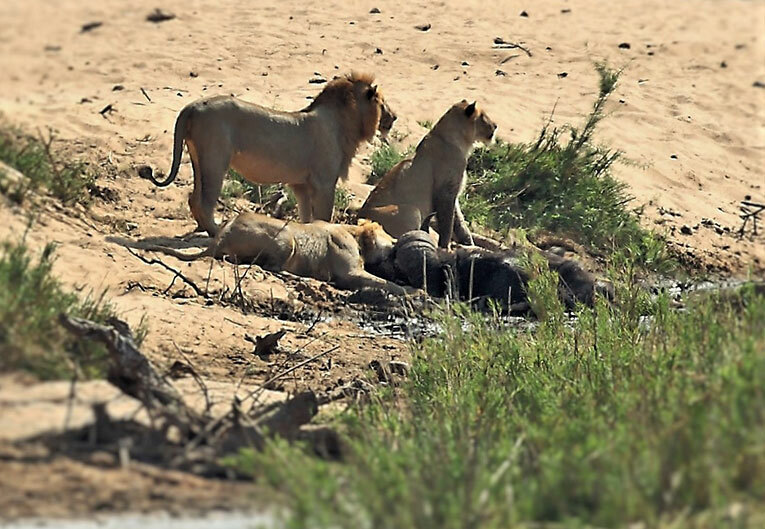 Take a few minutes to discover this amazing location and the stunning close up and panoramic views of the river and its adjoining floodplain in an area of the Kruger National Park that teems with Big Game. 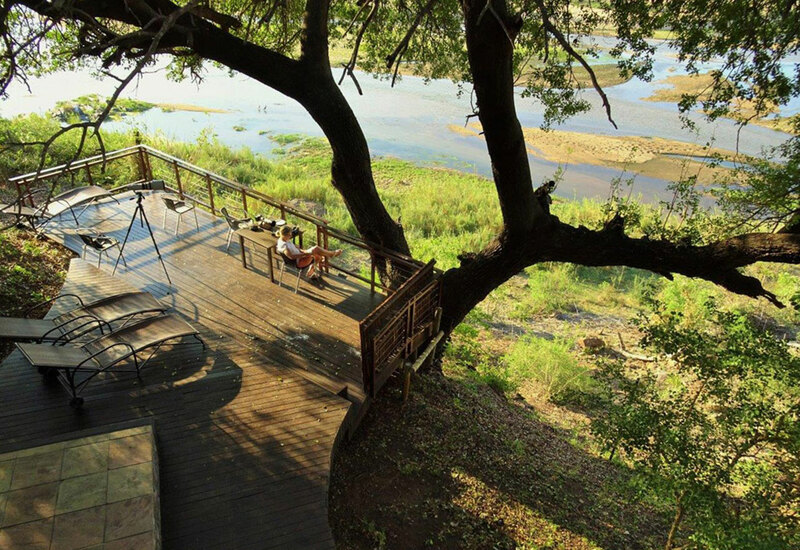 If you would like to go Wild in Style on your next Kruger Park holiday submit a rental request and experience this remarkable setting for yourself. 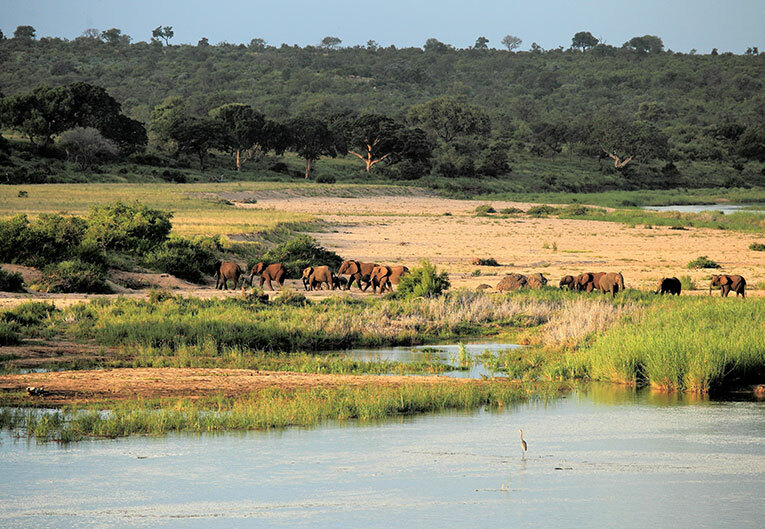 The Kruger National Park is one of the world's 20 largest game reserves. 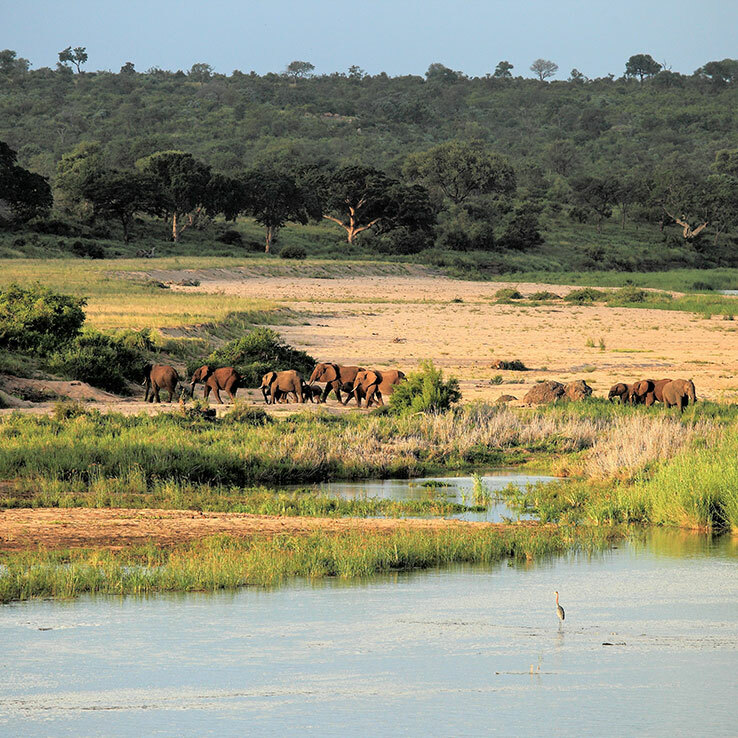 With an area close on 22000sq.km or 2 million ha it supports the greatest diversity of wild animal species of any wildlife sanctuary in Africa. 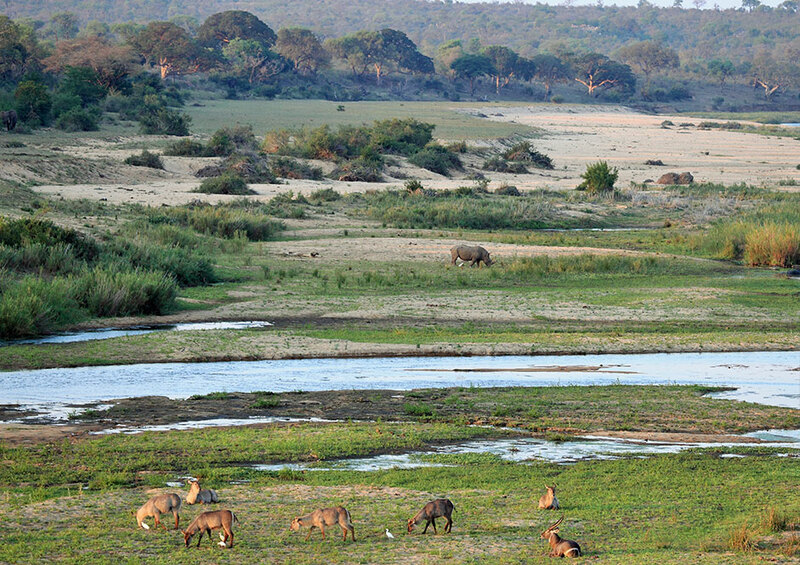 The southern boundary of the Kruger National Park is formed by the Crocodile River which is one of six major rivers that play a critical role in sustaining the unique natural environments of the Kruger National Park. 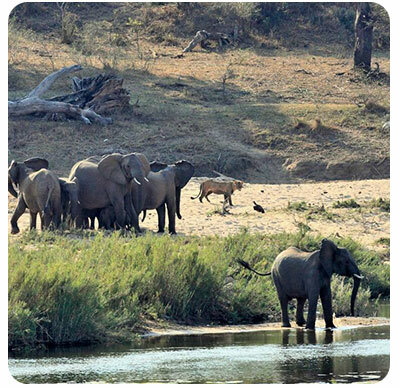 The south eastern corner of the Kruger National Park, referred to as the Crocodile Bridge section, is renowned for being one of the most rewarding game viewing areas of the Park and it is in this area, on the southern bank of the Crocodile River, that Ngwenya River Lodges are located. 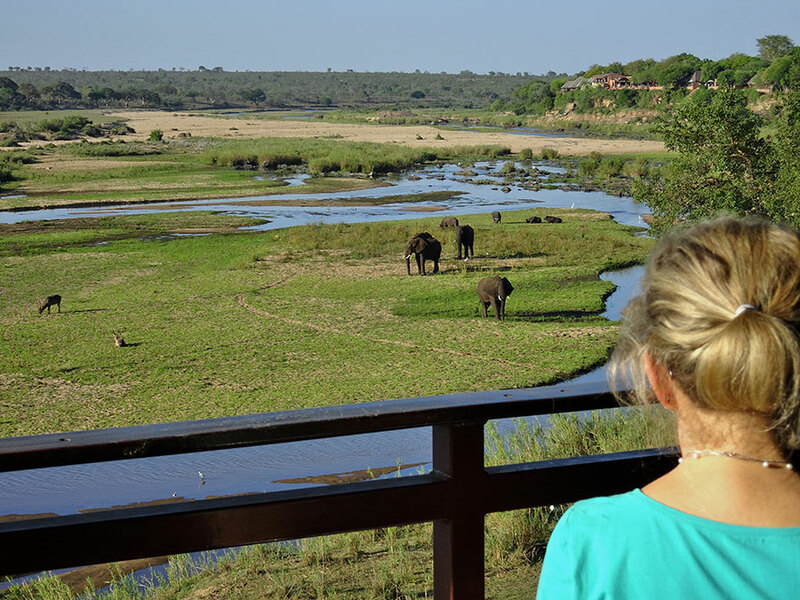 In fact the Kruger is so close to the lodges you can reach out and touch it and the views from the lodges are indeed amazing. 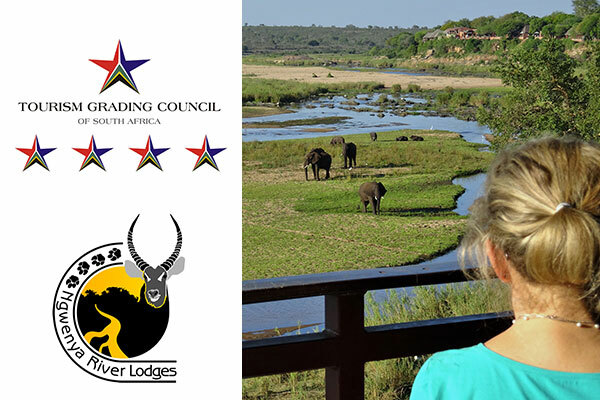 You will be hard pressed to find a finer setting in which to put your feet up and unwind as you watch a wide variety of wild animals, including the Big Five, come to the river to drink. 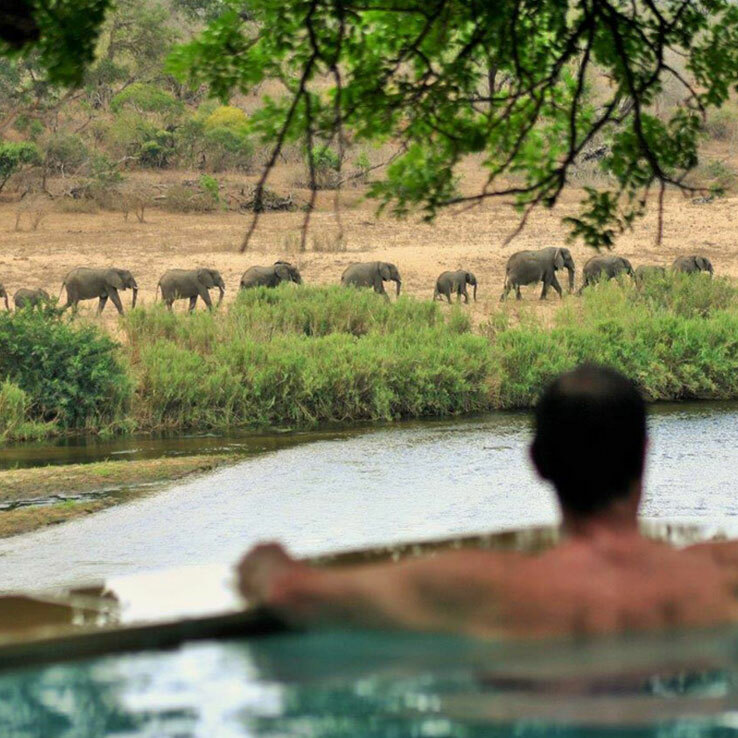 At Ngwenya River Lodges there is no real need to spend every day driving around the Kruger looking for the very same animals that come to the river and you. 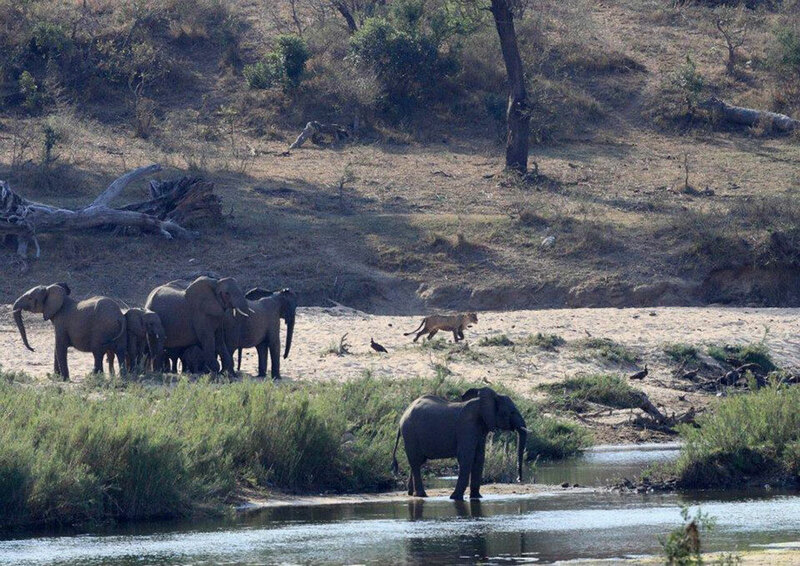 The river serves as your personal waterhole. 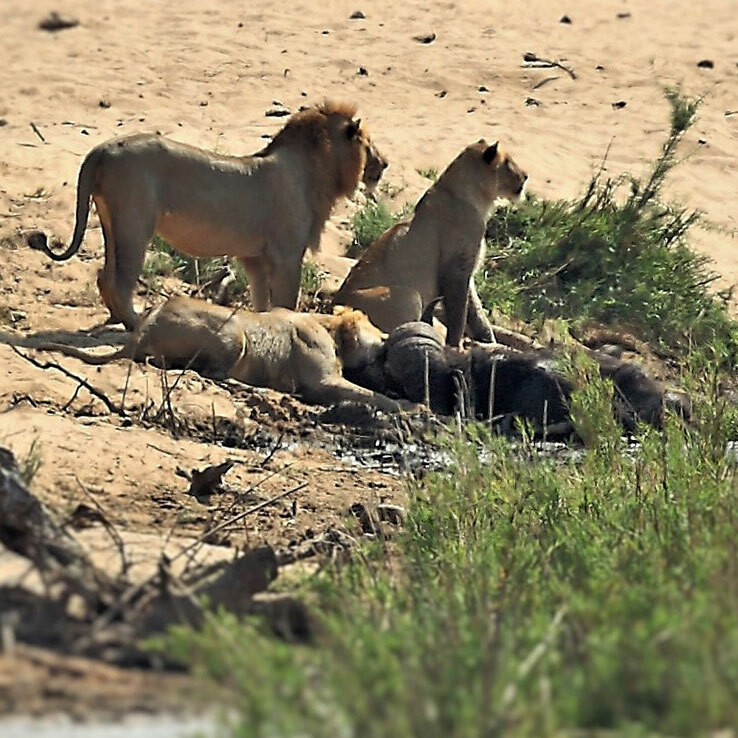 Keep your camera close at hand because photographic opportunities abound and from time to time kills happen, suddenly. Sound like your kind of place? If so submit a rental request. 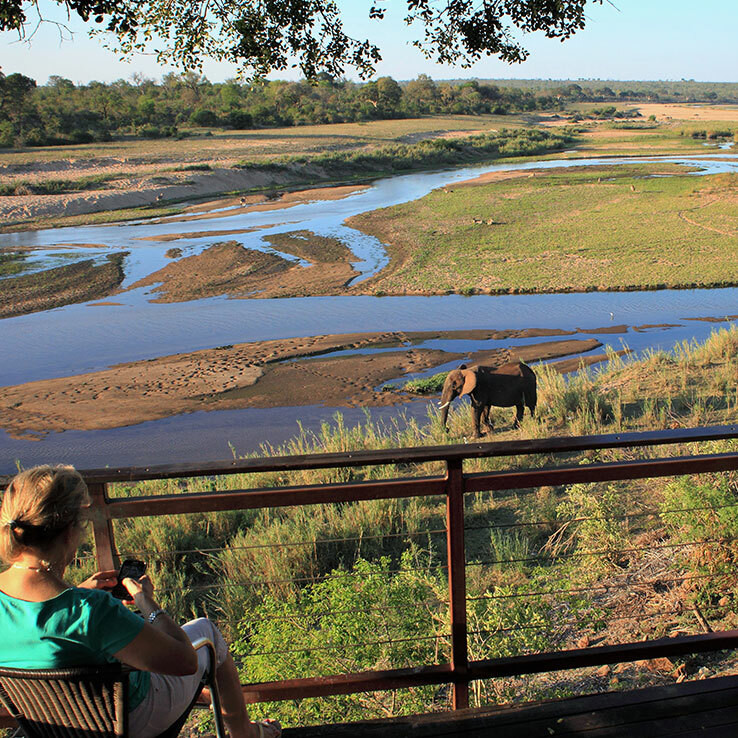 Ngwenya River Lodges offer uninterrupted panoramic views of the Kruger National Park that will literally take your breath away. 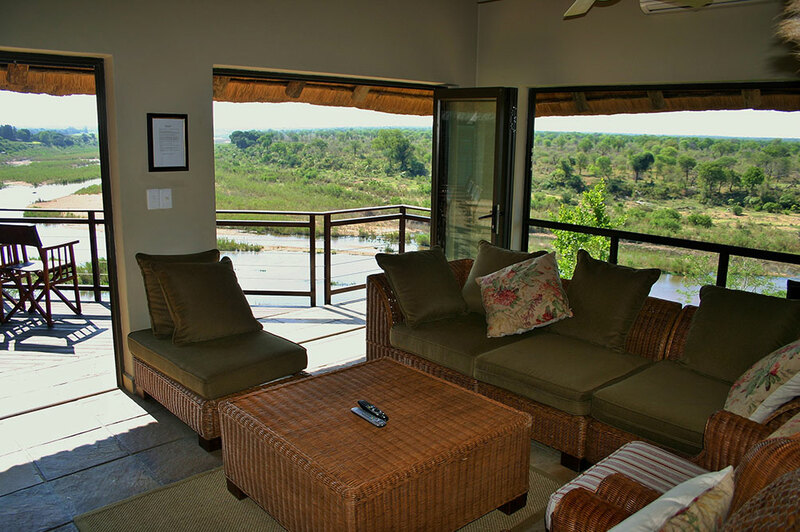 Each of the luxurious air-conditioned double storey lodges has five bedrooms (three upstairs and two downstairs) with en-suite bathrooms, a fully equipped kitchen, private game viewing decks and an infinity pool. 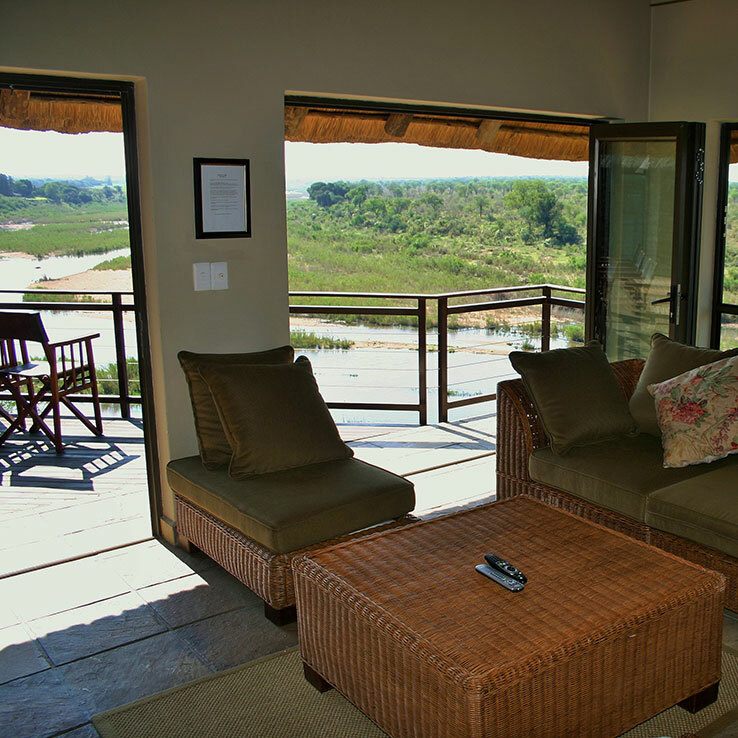 Ground floor bedrooms lead out onto sandstone tiled verandas which flow onto expansive decks that provide stunning close up and scenic panoramic views of the Kruger Park, the river, floodplain and adjoining bush. 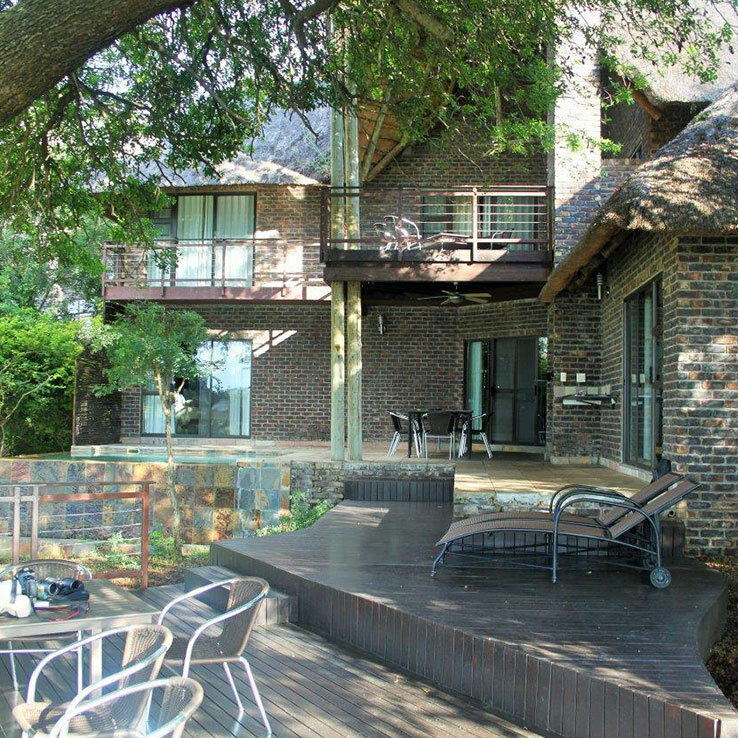 Upstairs bedrooms open onto wooden decks. 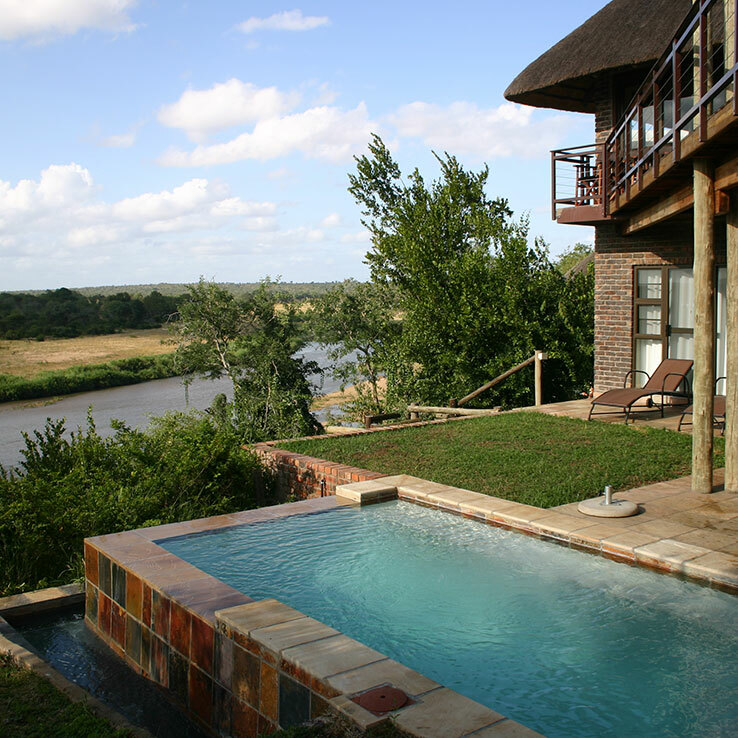 You can even watch game from the infinity plunge pool perched above the river bank! 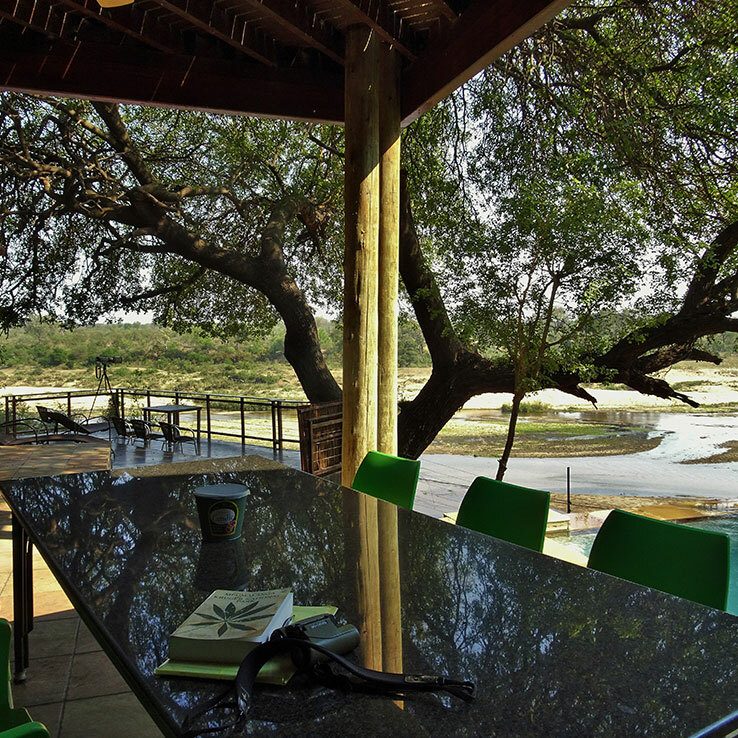 The lodges have been finished in a neutral earth tone colour and appointed to a high standard of luxury with furnishings such as leather couches, DSTV, granite top kitchen with ample fridge and freezer space for ten people as well as a dishwasher and washing machine. Bedding and towels are supplied. 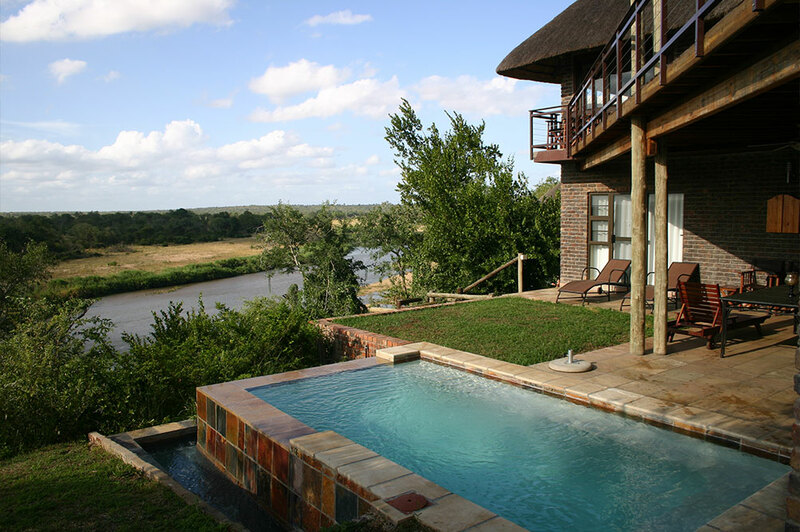 Guests are advised to bring their own swimming towels. 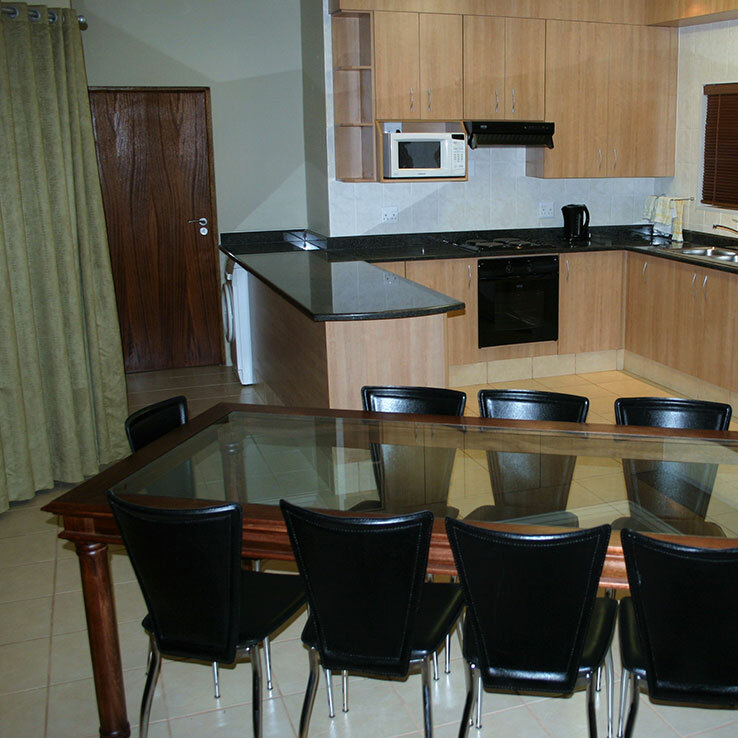 The lodges are air-conditioned throughout and have ceiling fans for added comfort. 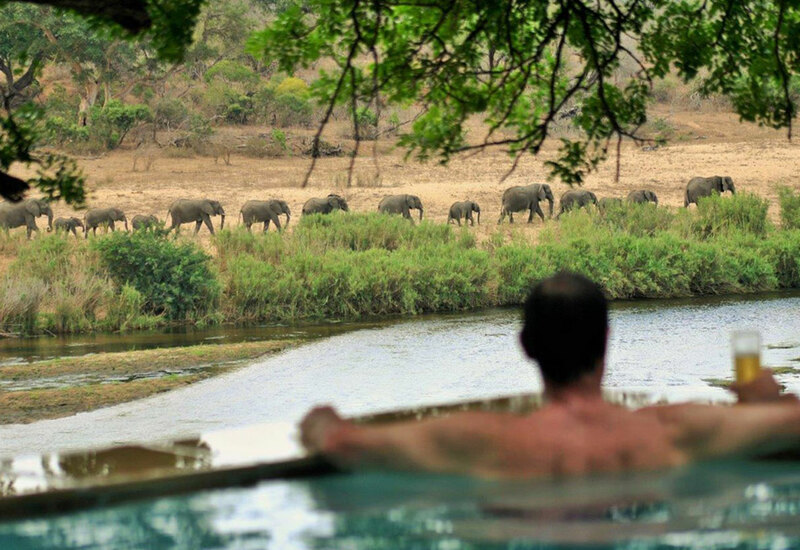 Four of the five en-suite bathrooms have both baths and separate showers. 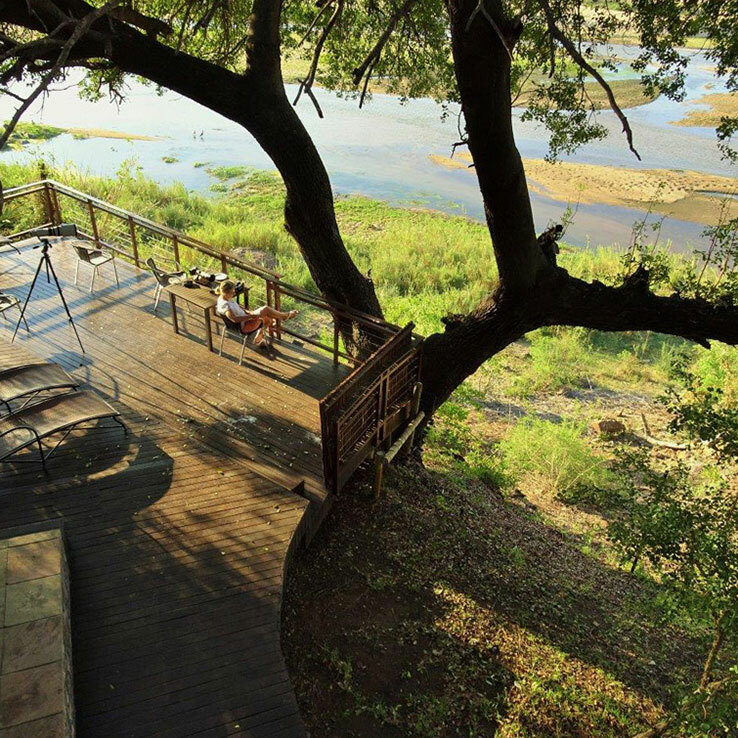 One en- suite bathroom has a shower only. 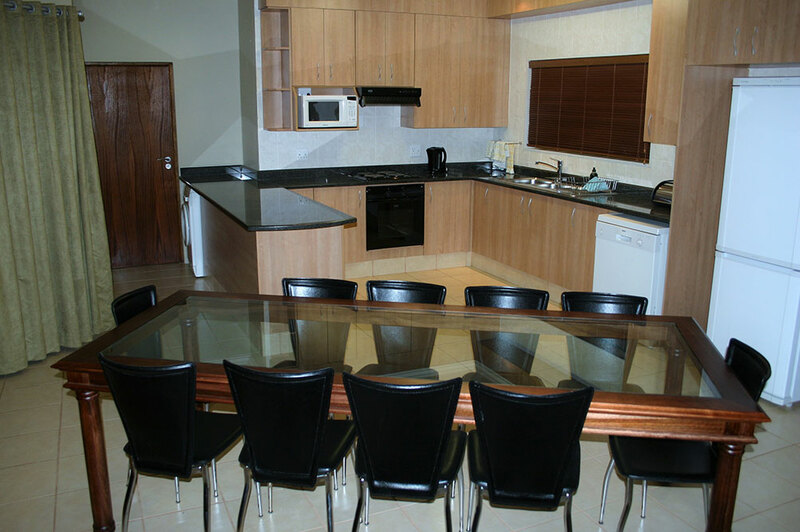 All bathrooms are fully tiled and appointed with granite top vanities. 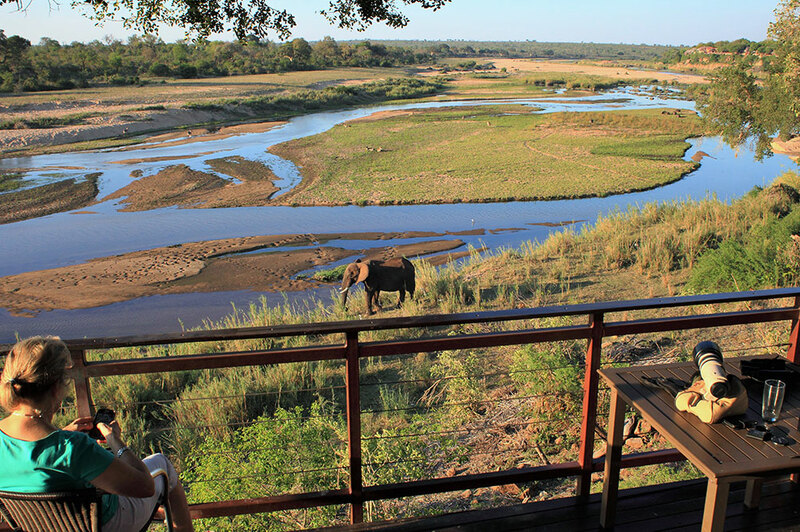 To ensure complete relaxation the lodges are serviced daily (except Sundays when servicing is offered as an optional extra). 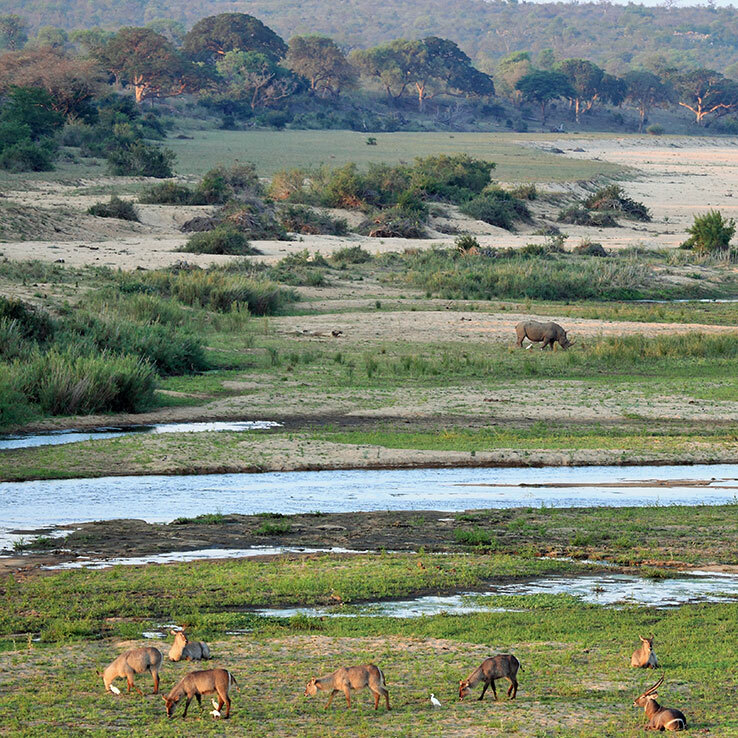 The rental demand for Ngwenya River Lodges is understandably high. 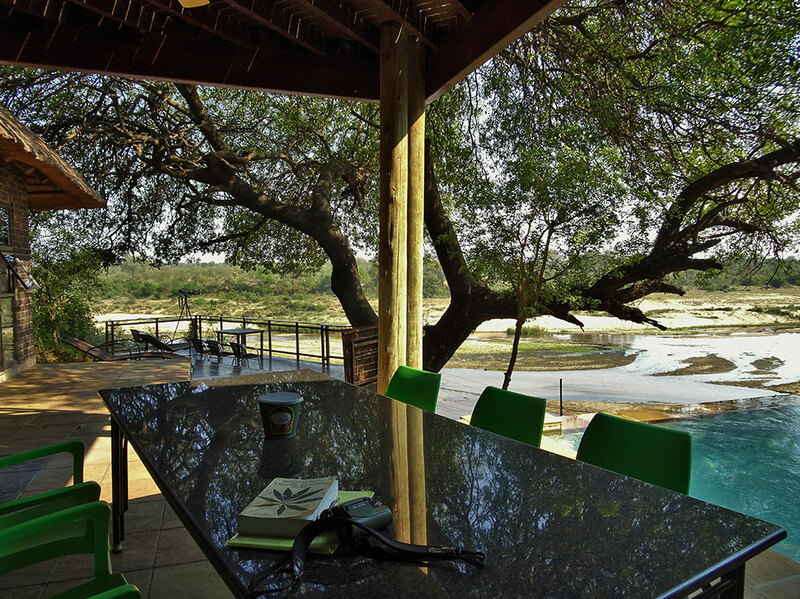 Submit you rental requests well in advance to ensure a booking. 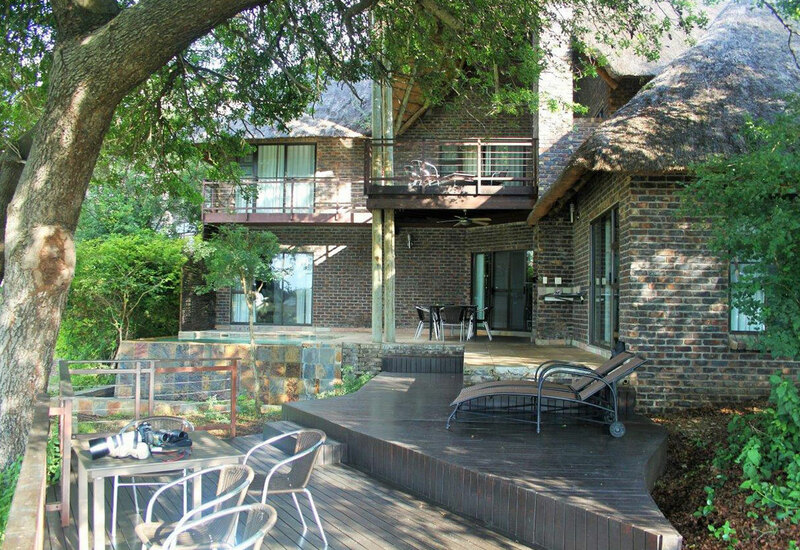 Click on the link below to see further details regarding rentals and to submit your rental request. 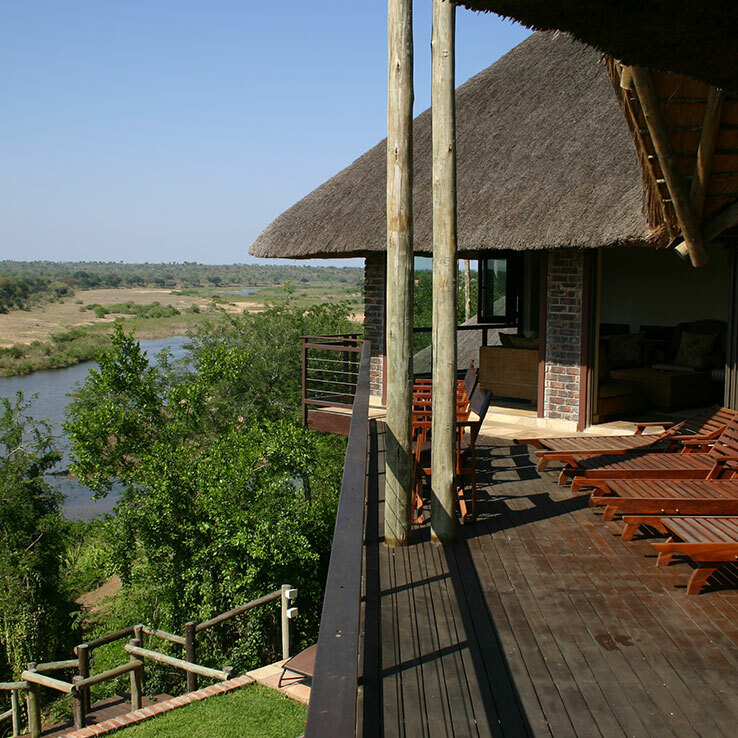 Please contact us for any enquiries on rentals for Ngwenya River Lodges.